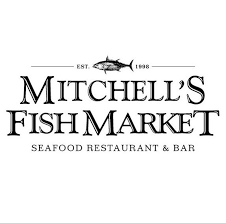 Our goal at Mitchell’s Fish Market is to be your first choice whenever you want the freshest seafood and the most memorable dining experience. It’s there in the raw bar, the open kitchen, the fish case displaying Today’s Catch and our customized cutting room. And be sure to ask about today’s fresh catch or the Daily Chef’s Feature. At your table, let one of our associates take you on an enlightening tour of our menu. With their seafood expertise and a genuine flair for hospitality, our associates are here to make your experience much more than a meal. Whether your visit is a quick lunch out of the office or a special occasion with friends and family, we’re delighted to know you’ll have the freshest meal possible. We serve the freshest and finest seafood from the world’s great fisheries, and our seafood expertise means we know the ideal species to source depending on region, season and weather. After the day’s catch arrives, we inspect every piece to ensure it meets our standards for world-class quality, then cut and prepare everything in-house. Our menu is updated daily to feature Today’s Market Catch, along with the weather report for where it was caught. And we offer a variety of seafood options grilled or broiled, blackened, cooked Shang Hai style, or prepared to your taste. Can’t decide? Let our expert associates guide you to the perfect choice. Want to have it all? Try one of our seafood combination dishes.